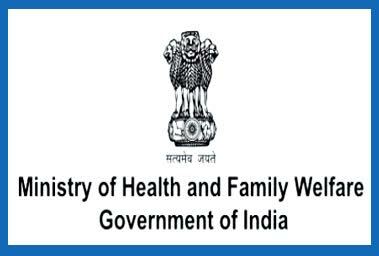 New Delhi: Ministry of Health and Family Welfare recently released Operational Guidelines for Planning and Implementation of Family Participatory Care (FPC) for improving newborn health. The guidelines will serve as a guiding document for those intending to introduce FPC in their facility as an integral part of facility based newborn care. The document also provides details of infrastructure, training, role of health care providers and steps in the operationalization of FPC in the newborn care unit. The operational guidelines of FPC are for all stakeholders involved in the process of planning and delivering newborn care. The guidelines also addresses various aspects of attitudes, infrastructural modifications and practice that will help in establishing FPC at Special Newborn Care Units (SNCU) such as sensitization of State and District Managers on FPC, prioritization of SNCUs for initiating FPC, making required infrastructural enhancement in SNCU, creating family participatory care environment in SNCU, ensuring availability of supplies for parents-attendants, training of SNCU staff for SNCU, role of healthcare providers for FPC implementation and institutional support for FPC. Under FPC, the capacities of parents-attendants are built in newborn care through a structured training programme (audio -visual module and a training guide). The staff at newborn care unit will provide continuous supervision and support. Provisions for infrastructure and logistics strengthening required for implementing FPC are ensured in the annual state Program Implementation Plan (PIP). The guidelines will be shared with the States for implementation and it is expected that these guidelines when implemented by States would further improve the quality of care being provided in the SNCUs across the country. Sick and newborn are highly vulnerable and require careful nurturing in order to survive the neonatal period and first year of life. Under National Health Mission, more than 700 state of the art Special Newborn Care Units (SNCU) have been established across the country to provide 24 X 7 comprehensive care to the newborns by dedicated trained staff. In the recent years, it is realized that if parents are trained, during the stay of their babies in the hospital, to provide supportive care to their sick and newborns, it will help in not only improving survival of the babies after discharge but will also provide for psycho-social and developmental needs of the newborn. In this regard, Family Participatory Care has emerged as an important concept of health care which provides for partnership between health care staff and families in care of sick newborns admitted in the SNCU.